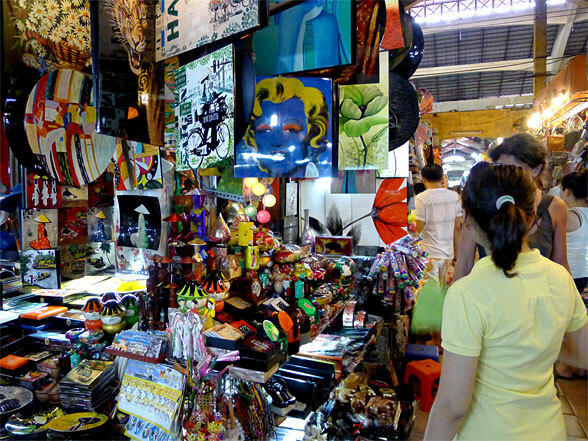 Bến Thành is one of Ho Chi Minh City's most popular marketplaces for tourists seeking local handicrafts, textiles, souvenirs as well as local cuisine. It has existed since the French occupation, but has been destroyed, rebuilt and finally moved to the present location in 1899. 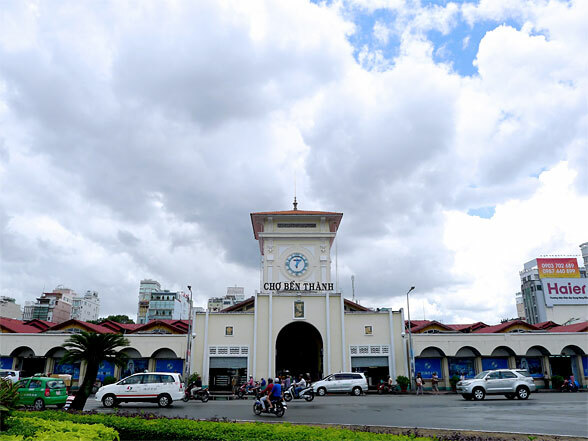 Bến Thành market is one of the largest Vietnamese traditional markets, located right in the most bustling place in Ho Chi Minh City, is very popular with both locals and tourists. There are various kinds of interesting handicrafts which are excellent for tourists shopping. However, the prices are highly inflated and you have to bargain extremely hard. If you don’t want to buy anything, it is excellent to walk around for some nice photos and completing your visit. What particularly impressed me was the food area. It is absolutely famous for the real delicious Vietnamese cuisine. 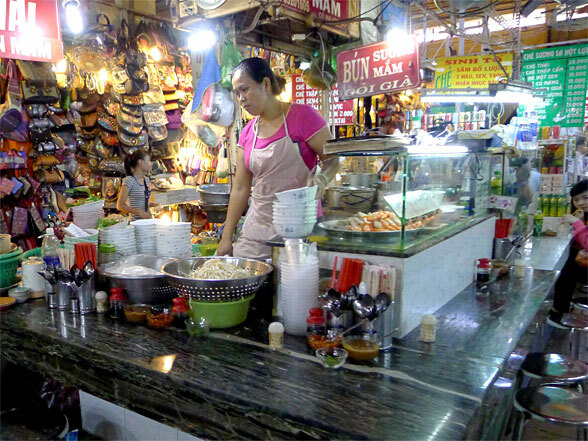 Bến Thành market is a great place to discover inexpensive local cuisine. I especially like chè (a Vietnamese dessert) and all kinds of noodles here (Phở, Canh bún, Bún mắm, Bún riêu). They also have a night market here, open from 6pm till 11pm. Clothings, handbags, souvenirs, handcrafts are sold at bargain prices. Visitors definitely can enjoy the exciting atmosphere around Bến Thành market and find out some interesting things about local life. But be aware of pick pockets, even locals are victims not only tourists. Whatever the pros and cons, Bến Thành market is still a must see place when visiting HCMC. 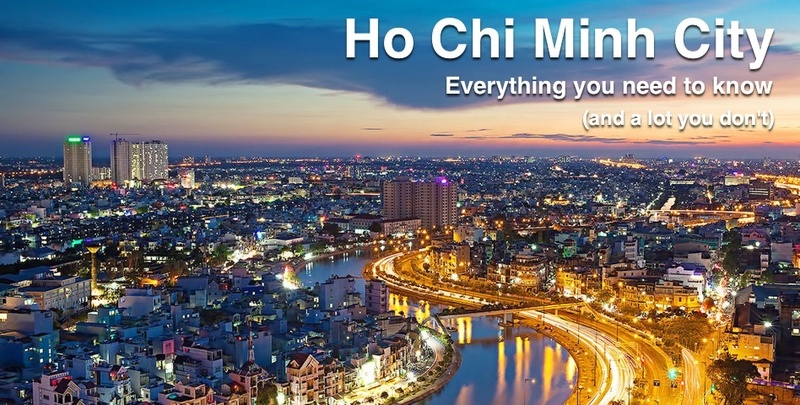 Food and travel enthusiast from HCMC. Favorite spots include NYDC, Molinari Cafe and Le Jardin.